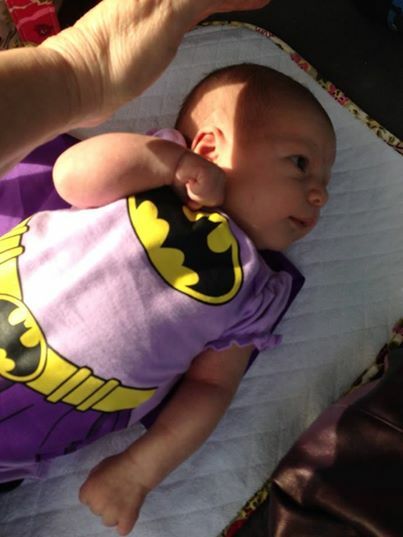 (disguised as a “bat baby!”) My grand daughter, Vivien was born on Feb 1, 2014, in the late evening, just like her brother. I had had a wonderful day at the annual Needlearts Extravaganza in Statesville, NC, so I was not too far away. I arrived in time to meet my granddaughter and find my grandson running a fever. He had the flu. I have said that I held him and rocked him all night the night he was born, and again, all night, the night his sister was born. Now, with that said, this is my craft blog, not my grandma blog (oooh, a grandma blog! great idea!) 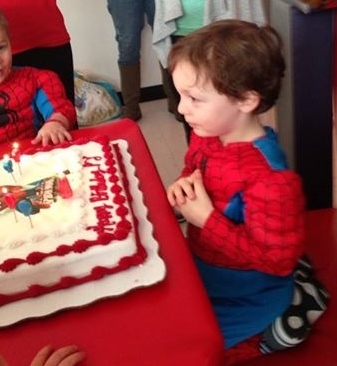 I don’t see how I can post about things I make or do for my grandchildren without including them. I shall try to control myself! Filed under party and tagged cake, Nana, PJ, Vivi |	Comments Off on What about Cake #4?